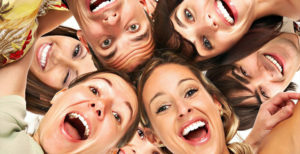 Laughter can help you to improve your health! You may have heard this before and it is the truth. Laugher can help you to feel better, have more energy and so much more. If you are trying to recover from an illness or pain, laughter can help you do this. There are many ways to overcome health issues. You may consider medications. However, many of the medications have unhealthy and uncomfortable side effects. These may make your health decline even more. If you want to improve your health, use laughter to start the healing process quickly. Spending time around others who are laughing can help you to feel better. Being around negativity has shown to cause longer recovery times. If you spend time around those who are laughing and having a good time, you will find yourself distracted by the fun and excitement. This will distract you from your health issues and help you focus on healing instead. When you are trying to improve your health, understanding that laughter can help works. When you take on this understanding, you will be able to surround your mind and body with fun ad happy memories. This works to help you motivate yourself to heal faster. Some of the ways you can create happier memories include painting a room, working on a garden, going for a walk and many other things as well. When you later think about these memories, you will be more inclined to build even more happier memories to help yourself feel better as well. When you laugh at yourself, you can take things less seriously. Laughing at yourself means you can relax and know that things are going to be alright no matter what. When you laugh at yourself you can understand that when things are bad they will get better soon enough. These are some of the many ways that laughing more at yourself will help to improve your health. Using laughter to improve your health is a great way to make the most of things. Whether you have an infection, a broken bone or another health issue be sure to keep these tips in mind when you are healing. Laughter is the best medicine. Being around others who are laughing, creating happier memories and laughing at yourself all work to improve your health. You can start in improving your health today! You can start making yourself feel better instead of relying on medications. How have you used laughter to improve your health? Which way are you going to do this for yourself in the future? Think about it any time that you need to improve your health.